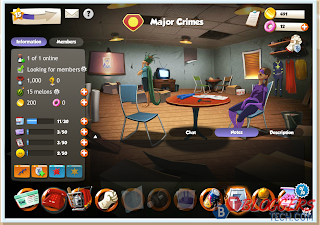 It's been months since the last time I've posted a Facebook game review here at Bloggers Tech, so to all Facebook games addict here's a game that I'm spending my leisure time with these past few days. The title speaks for itself. It's a HERO role playing game, you're the hero in this game and it's your mission to level up, get a team, help people of course and it may sound weird but you must also fight with your fellow heroes. Well, sometimes heroes gets into other heroes feet right? So let’s talk about the game and let me show you around the game, share with everyone what I know and of course some times in playing this game. You have the control with your character's strength (the one in arms), stamina (the football helmet), how smart is your character (obviously the brain) and the fastness of your character (the eye). The one in the middle is obviously your character with the items of your character - from costume to weapons. On the right side, you have my level, team and my honor (the one with the medal). At first, I'm not into the way the character's look. 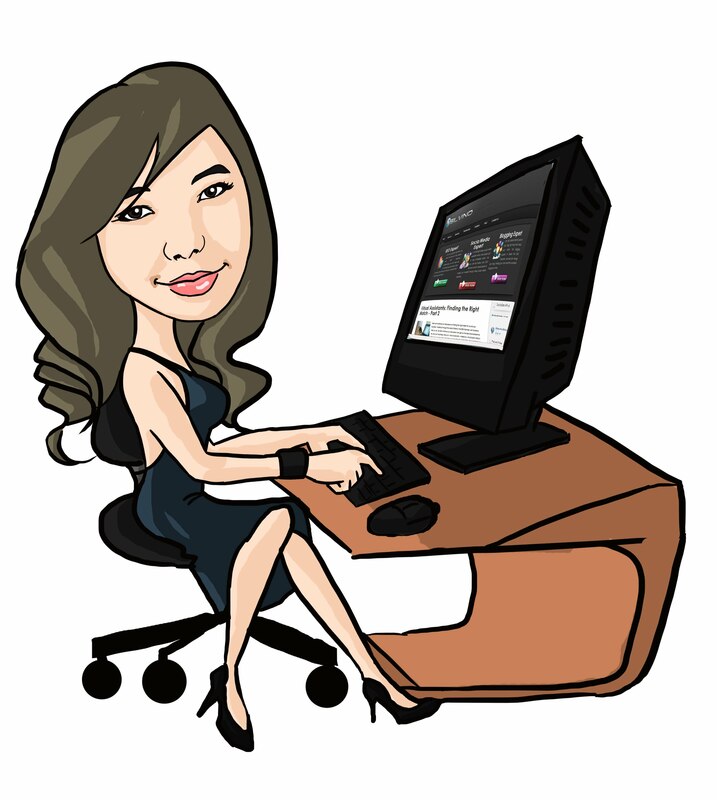 It's not your usual cute and well drawn character, it's someone similarly drawn like some our recent cartoon characters. But anyway, you'll get used to it for few days. The screenshot above is the shop where you could buy costumes for your character, you'll be able to get new stocks delivered in the store after 24 hours by just clicking the button. In the screenshot, I've already consumed it but I can still have another stock delivered by paying 1 donut. Better check the stats of the items you buy to help you improve your stats. The best item that you can pick are the ones with colored borders around it, the items with VIOLET or PURPLE border is the best type since it's an EPIC type and it contributes a lot. If there are items with BLUE borders that's better because it's a RARE one, so obviously it's a lot better than a COMMON type of item. What's with the game with no action right? Especially if you can't see it fight and show off the skills that your character have. The screenshot above are the list of other heroes that you can fight with. Ah yes! You can beat them up if you've got the skills, the power, the stats to beat them. The honor displayed is the honor of the character that you can fight with. The higher the honor (higher that you have) only means you can get a higher number of honor when you defeat the character. 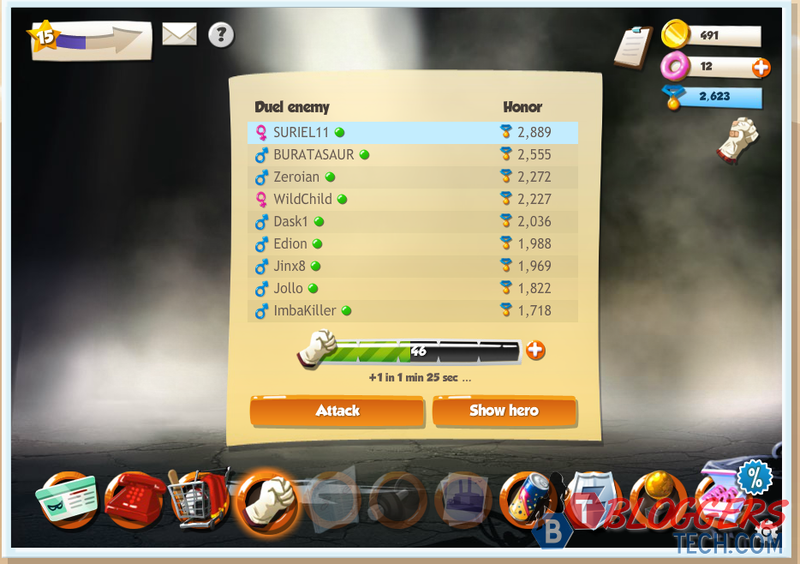 As this case, my honor is already 2,623 and if I can defeat SURIEL11 I can get 100+ honor from him but if I lose, well I lose a couple of honors too. You can also just do a couple of fights, the progress bar is your energy bar to fight. So, when it ran out you just have to wait to fight again or pay 2 donuts to attack someone. Let's check out Zeroian since it has a good honor and seems like I have a better stats and better chances of winning the fight. As you can see, what's good about this game is that you'll be able to know the items and the stats of the enemy first before you attack him. Zeroian has a huge stamina than I have, higher stregth (damage) but I have higher brain and higher chances of avoiding the hit of the enemy (the eye). Comparing also his items to mine, I've got better items and most of it are EPIC ones. So let's attack Zeroian, shall we? Because Zeroian has a huge stamina, even though I can hit him hard it will be hard for me to put him down first before I die. So yeah, I lost. 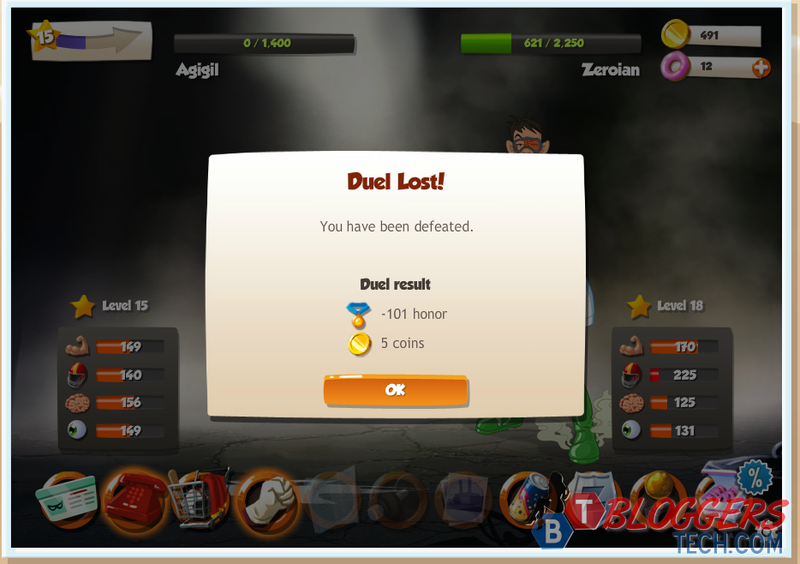 As you can see I lost 101 honor because of this, but no worries you may gain it again through fighting other heroes. As a hero, it is your mission to help the helpless. 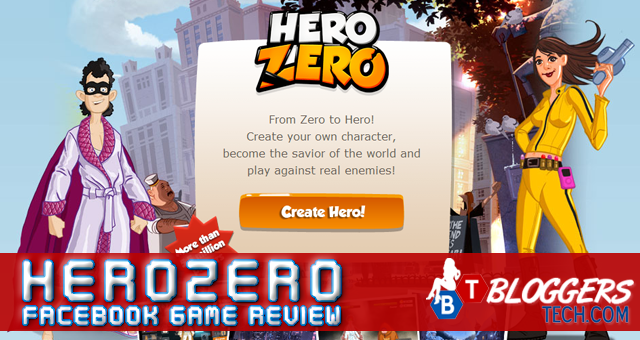 The HeroZero game also have that for you. You can just choose a mission where you have two (2) to choose from, that is the Time Mission (you'll just have to wait around to get coins and experience - to level up) and the Fight Mission (where you'll have to wait a couple of minutes and fight a villain in a place). 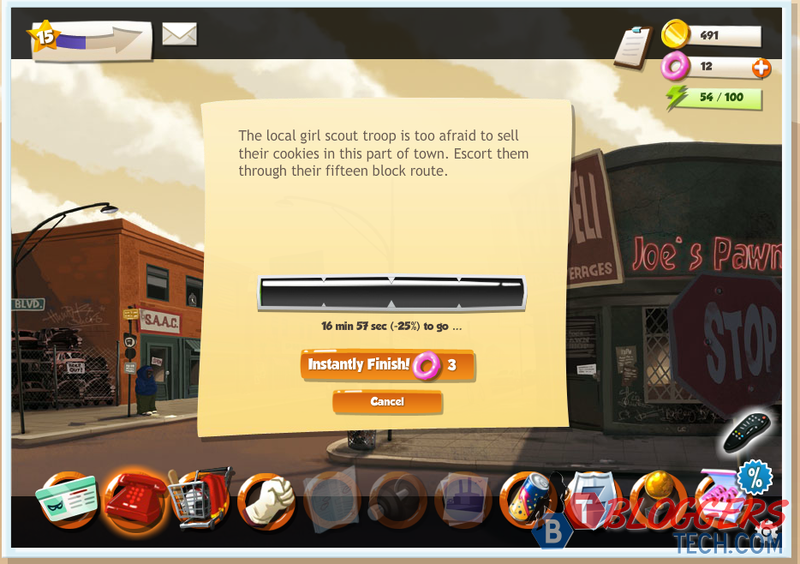 If you don't want to wait around, then just click the "Instantly Finish" button but you'll be charged for a few donuts. Your energy will be consumed for this, which you can also use for training. It's totally different from the energy for fighting the other heroes. There are also other mission that you can do but it will be only available for level 25 - so I don't have an access to it yet. 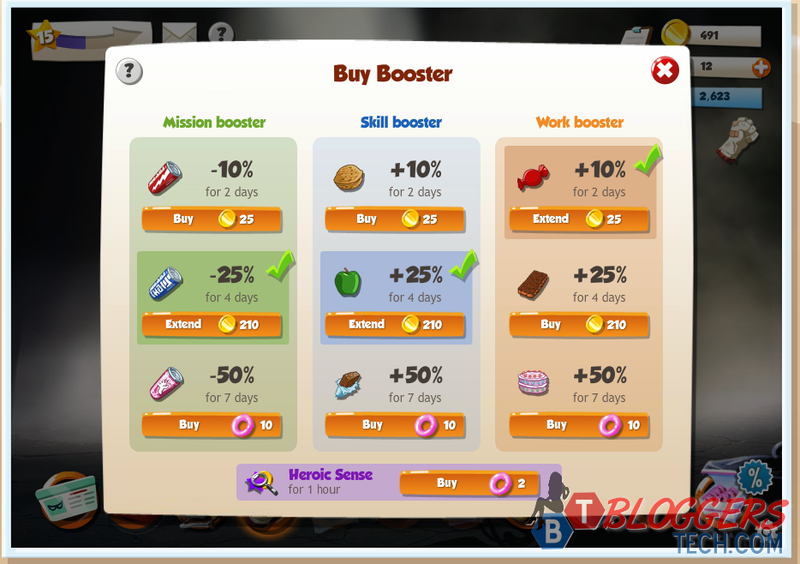 Boosters may also help you with your mission, work and of course with your skills. With these boosters, you can wait less on your missions since it deducts a certain of the time that you need to wait. Your skills will also improve by a percentage, so it will totally help. It's just a couple of coins anyway for days of boosters. A game like this usually have a team or some games call it guild. You can create your own team for only 500 coins, but a couple more expenses will be added for the logo, HQ improvement and other stuff. What's great in joining a team is that it will totally help with your stats, since in guild wars (to what other games call it) the team members may also get some experience. 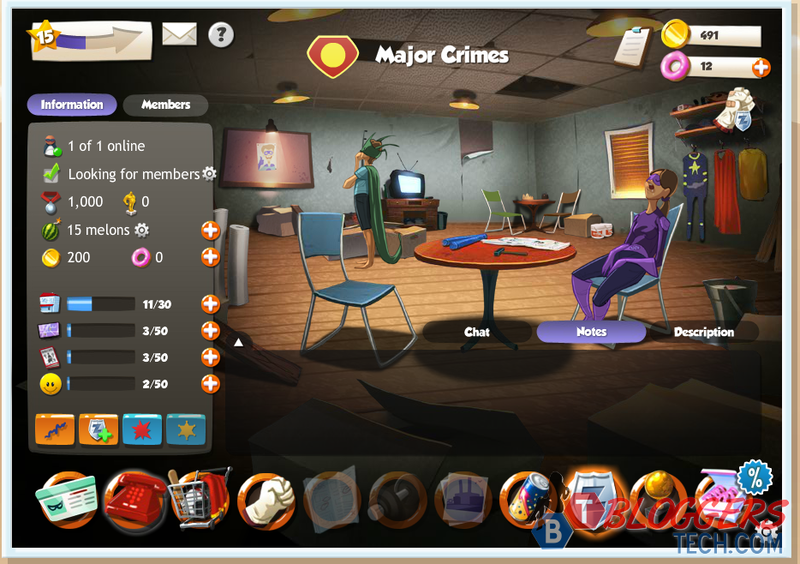 Sadly, I don't have any members in my "MAJOR CRIMES" team yet. I've done a couple improvements already, and used my own gold for it. I've tried to invite some members but it seems they don't like it. Oh well! 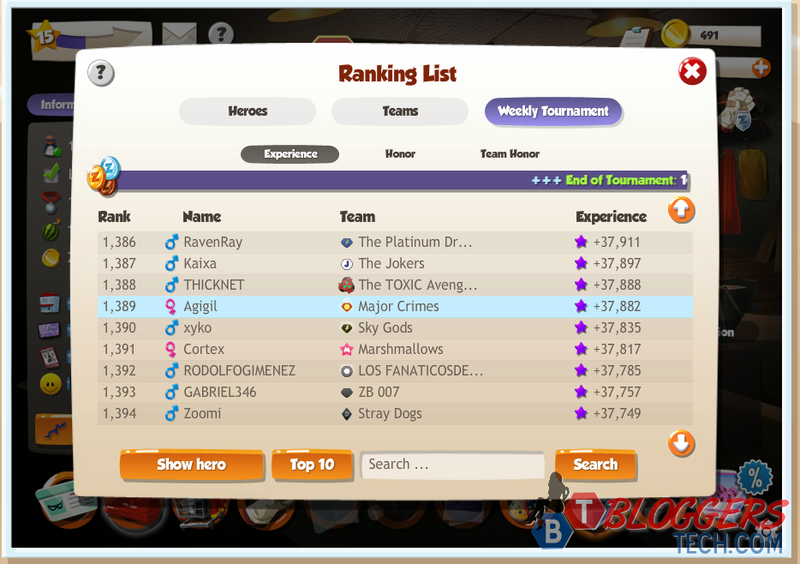 There are also a couple of tournaments you can join in, but so far I haven't been into any tournament yet. There's one upcoming so I'll just update the post about tournaments and share it with everyone. What's great with these tournaments is that you get donuts! Obviously, the donuts are also the money in this game. 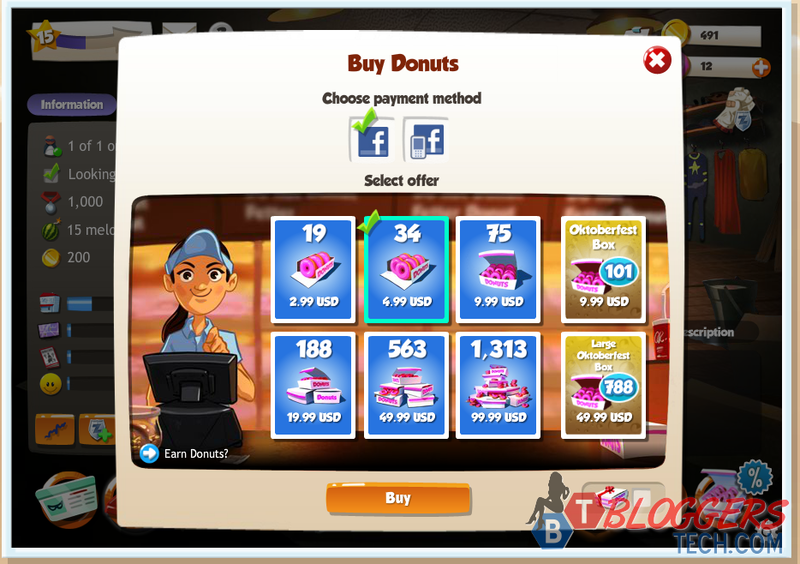 What I love in this game is the donuts are cheap, comparing to the other games available in Facebook. This month, The HeroZero is having an October fest, so as you can see they have donuts promo this month that I've been wanting to have - well sadly, I've already sent all my money from PayPal to my bank. LOL. But anyway, for the $2.99 worth of donuts I've bought a lot already. Upgraded my items, finished missions instantly, go training fast, and lots more. There are a couple of tips I could share with everyone so let me just break it down. First, with your character stats, I highly advice to spend a lot on your BRAIN. Of course, you should spend on your stamina, strength and for avoidance but make sure you've got more better stats on your brain because you'll hit a lot harder because you'll be smart on your attacks. I prefer to invest more on the eyes and brain, so that you could avoid the hits of the enemies, do smart moves and hit hard. Lastly, pick the items that have colored (purple and blue) around it since and better stats. 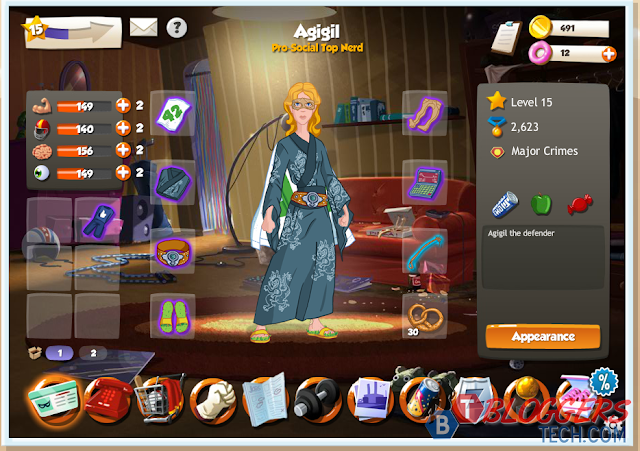 It will help you improve your character stats and boost your character. 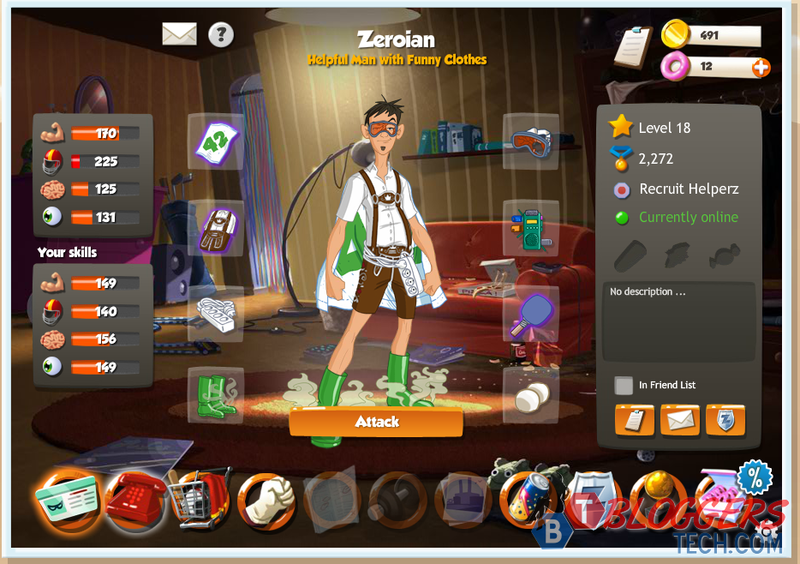 The HeroZero game is an action adventure RPG game on Facebook. 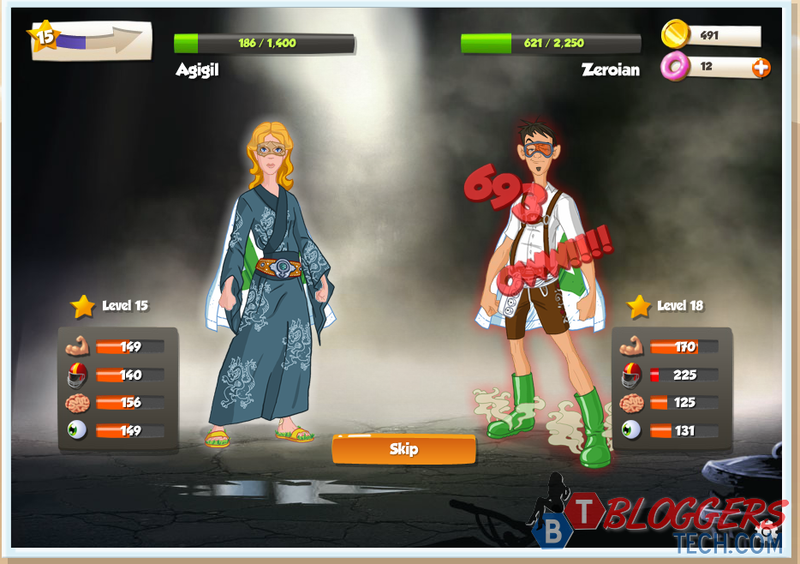 It's simply a game where YOU could be a hero in the virtual world. 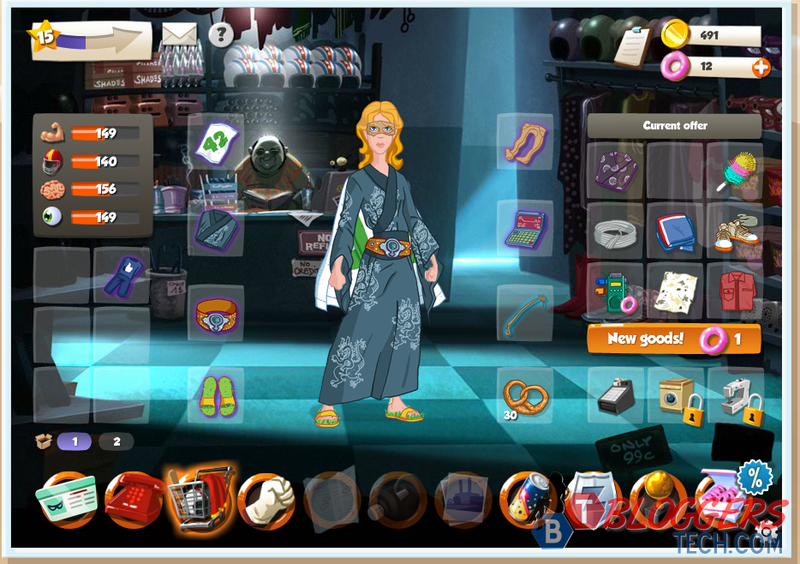 Upgrade your items, disguise yourself through working at a shop as an ordinary person and do the hero job at the same time through your hero missions. I easily get bored with games, the longer I play the game means the game is very interactive and addictive and of course worth playing. With HeroZero, I was already starting to get bored on the 5th day and I'm trying to keep on playing the game but when I first started I spend about $10 already, my leisure time and even check it before I go to bed. It can be addictive, but for a few days only - well, that is for me. For the HeroZero, I would like to give it 3.5 out of 5. I just love the fact that the game donuts are cheap, some other games on Facebook are good but the coins are way too expensive for me. If you've got any more tips and questions about this game, please do feel free to leave it as a comment below!